Angel Medina and Robin Riggs - Incredible Hulk #443 Cover Original Art (Marvel, 1996). "The Hulk is back -- and so is Rick Jones' granddaughter!" In this explosive thriller, Rick Jones' granddaughter arrives from the future in a blazing ball of fire. It's merry mayhem, in the mighty Marvel manner. 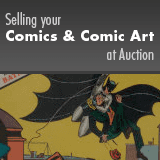 This cover has an image area of 10" x 15", and the art is in Excellent condition. Angel Medina signed the page at the lower right.